Designed by construction professionals for construction professionals, Construction Viz has all the features your team needs to save time, reduce cost and stay on schedule. Construction Viz is available in the cloud, as an on-premise enterprise solution, or via à la carte for Microsoft Office and Office 365. Stick with proven platforms from an established provider. Construction Viz offers you the latest enterprise solutions from Microsoft customized for the construction industry. Stay productive in the office and at the job site with Construction Viz. Construction Viz, powered by the cutting-edge Microsoft SharePoint and SQL, offers a seamless mobile-first experience using our bootstrap front-end framework and offline support technologies. So you can use your preferred browser and device to access and update mobile forms and reports—even if you don’t have internet access. Construction Viz lets you leverage all the latest features of Microsoft Office, so you and your team always have the latest productivity tools for your project. 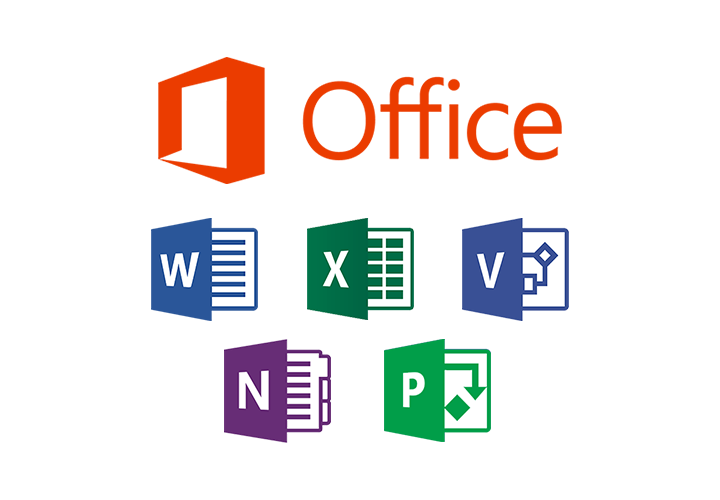 And because Construction Viz is powered by Microsoft SharePoint, you can do even more with Excel, Visio, Project and Word. Keep you team's data always up-to-date. Construction Viz includes all the industry-standard construction forms you need to get started managing your projects right away. Need something specific? No problem. It is easy to customize or create your own forms. Construction Viz lets you manage your projects your way. You can easily create or customize forms, workflows, page layouts, reports, dashboards and more. And if a feature you need isn’t included in our existing lineup of subscription packages or optional services, contact us for a free consultation to discuss adding it to your custom subscription. Construction Viz makes it simple to display critical project data in a visually compelling way. Built-in custom reporting tools and integration with Datazen (now part of SQL 2016), Power Bi and Excel lets you create project reports with dynamic charts, tables, graphs, heat maps and more. Keeping your project on schedule means getting the right information to your team members, vendors and contractors when and where they need it. But security issues can make this difficult. Construction Viz solves your security headaches. Whether your team is in the office or on the job site, Construction Viz lets you securely share data while controlling user permissions and access rights down to the field level. Get all your data in one place. Construction Viz provides an optional data warehousing solution — using SQL 2016 — to integrate and display data from disparate systems, including Primavera P6 Professional Project Management, SAP and more. Now you can roll up information from other systems and departments and combine it with your project data. So you can easily create reports and dashboards displaying everything management needs to see on any device, no matter where the data originated. Most large construction project schedules are managed with Oracle Primavera P6. Which is why Construction Viz comes preconfigured with P6 integration into SharePoint. Construction Viz lets you easily share schedule information with your entire project team via built-in reports and dashboards. Need to do more with Primavera P6? Contact us to find out about our hosting and support services. Get the ultimate in construction project management flexibility. Our new Construction Viz Apps give you the option to easily deploy just the features you want right in Microsoft SharePoint and Office 365. 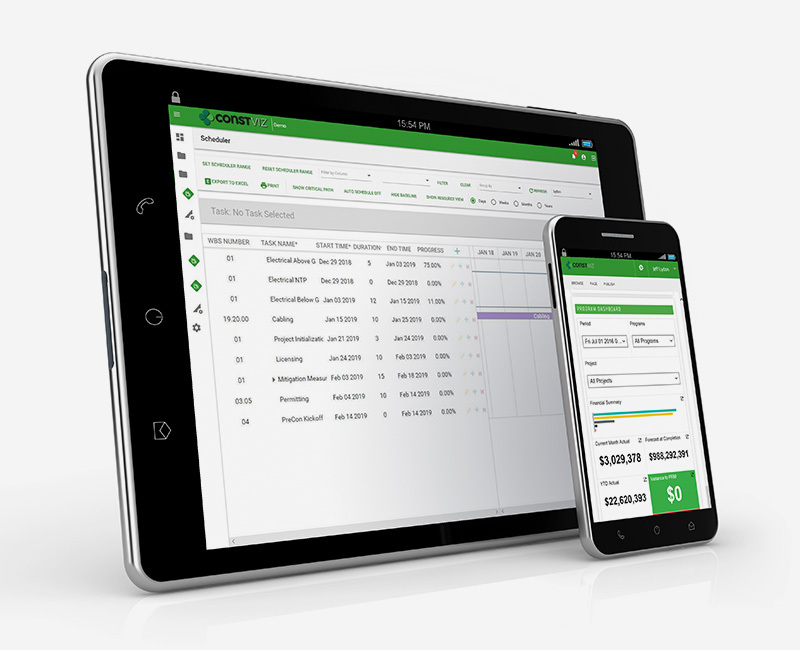 Each app works as a fully standalone solution with everything you need, including forms, logs, reports, search, and more. The apps also seamlessly integrate to offer you even more features and convenience. Construction Viz gives you everything you need to manage your construction projects: Document management, dashboards, reports, forms, workflows, mobile tools and more. Schedule a free, no-obligation consultation to see what it can do for your team. Sign up to receive helpful tips for construction project managers as well as updates about Construction Viz.